BUGESERA DISTRICT, Rwanda, 9 November 2016 – Founded in 1974, Ruhuha Health Centre in the Southern Province serves over 32,000 villages. Driving south on the main road from Kigali, then turning onto a dusty unpaved track for another hour, Ruhuha town appears as the road widens into a central village square. Although the area is undoubtedly rural, Ruhuha is anything but quiet. Old men lounging under eucalyptus trees enthusiastically direct visitors, while the town bustles with vegetable and fruit vendors, children playing football, dozens of motorcycle and bicycle taxis, and clusters of goats scampering underfoot. Marie Goretti Mukasine is a mother of five children and a resident of Ruhuha. Fortunately, Marie was able to find comfort through an HIV prevention programme at her local health centre. Perpétua Mukamabaho is the director of Ruhuha Health Centre. Her smile is shy but warm, and she speaks with genuine contentedness of her work at the health centre, and especially the Prevention of Mother-to-Child Transmission (PMTCT) programme. The programme is comprehensive, and includes HIV testing for couples and children, follow-up testing, medical advice, and provision of all medicine for case management. With consistent funding support from Zonta International, the PMTCT programme has grown to include psychological counselling, attentive follow-up for treatment and home visitations, and training for couples and individuals. These trainings coach villagers on living productively, educating others on HIV, promoting use of available health services, and dispelling stigma. 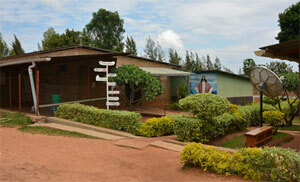 Ruhuha is one of 27 health centres that are supported by Zonta through the PMTCT programme. Since participating in the PMTCT programme, Marie has been elected by the health centre as a community ambassador. Marie “followed [the programme] very well,” said Perpétua, and Marie now works as a coach who encourages community members to follow the programme carefully. Marie and her husband even decided to have more children. 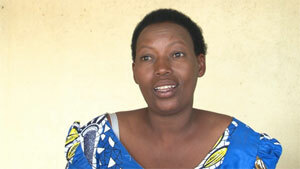 During her third pregnancy, they rejoined the PMTCT programme and continued taking medicine. When her baby was born and after a month and a half of anti-retroviral medicine, the baby tested negative for HIV. In the past, those found to be HIV positive would put themselves in quarantine, abandoning their dreams of education and productive livelihoods, and cease to interact with their community. Luckily, leaders like Marie have begun to change these perceptions; as knowledge of stigma increases and understanding spreads, life for those living with HIV has improved dramatically.